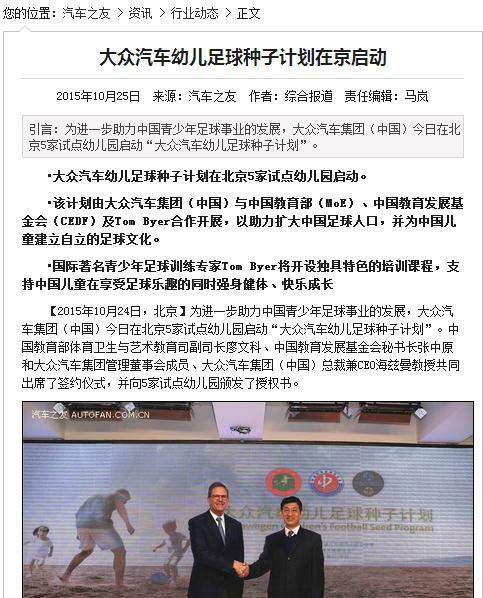 Partnered with the Chinese Ministry of Education (MoE), China Education Development Foundation (CEDF), and Tom Byer; the Volkswagen China’s aim is to help increase the football population and build a self-sustainable football culture for Chinese children. 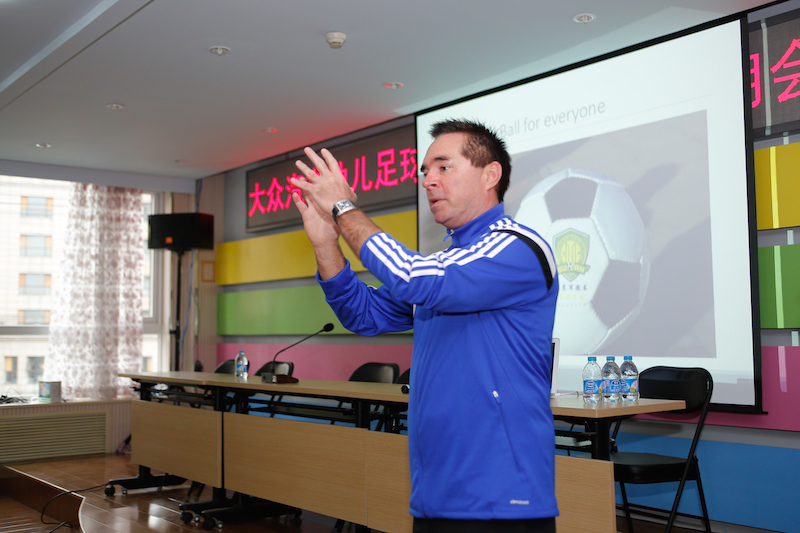 The goal, supported by Tom Byer’s 30 years of grassroots football development in Asia, is to help build China into a world class Soccer culture by building a strong foundation. 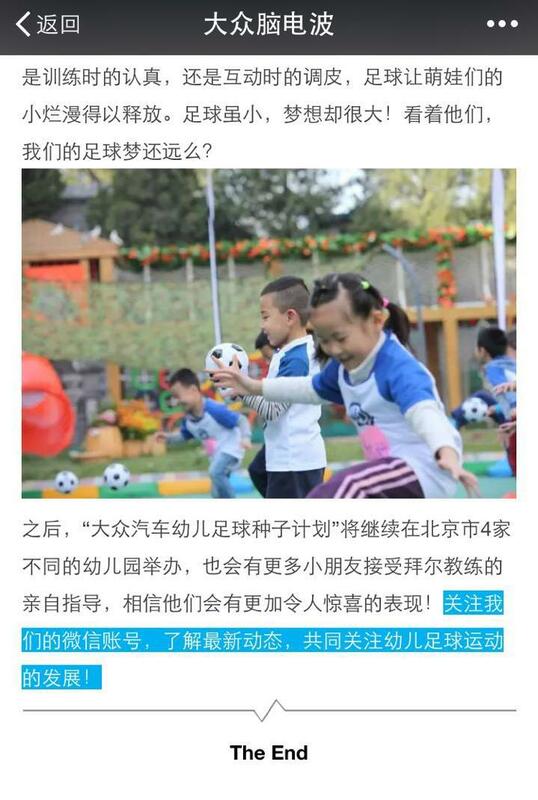 Targeting children between the ages of 4-6 years, Tom’s overriding objective is provide a solid technical foundation and a genuine enthusiasm and appreciation for the game, which in turn fosters a healthy and fun environment for young Chinese children. 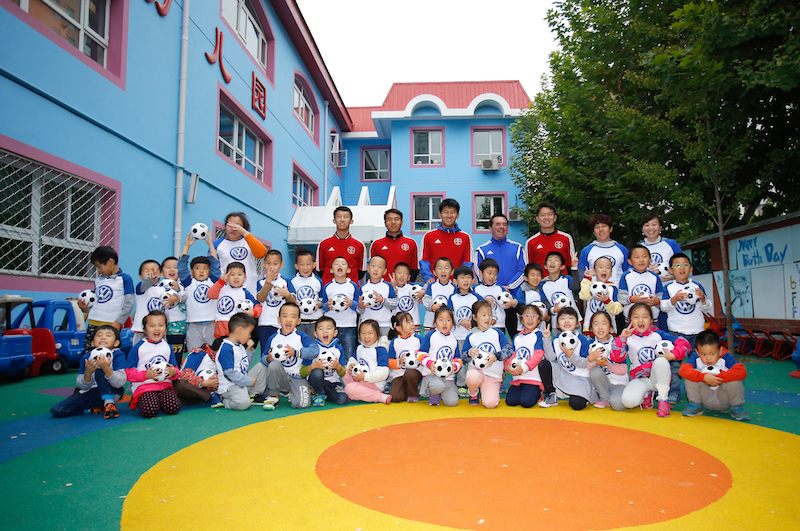 As part of overall plan of supporting youth football development in China, Volkswagen’s Children Football Seed Program starts with pilot phase in 5 kindergartens in Beijing, targeting children from age of 4 to 6 with more than 600 children expected to participate in the program which began in October, 2015 . 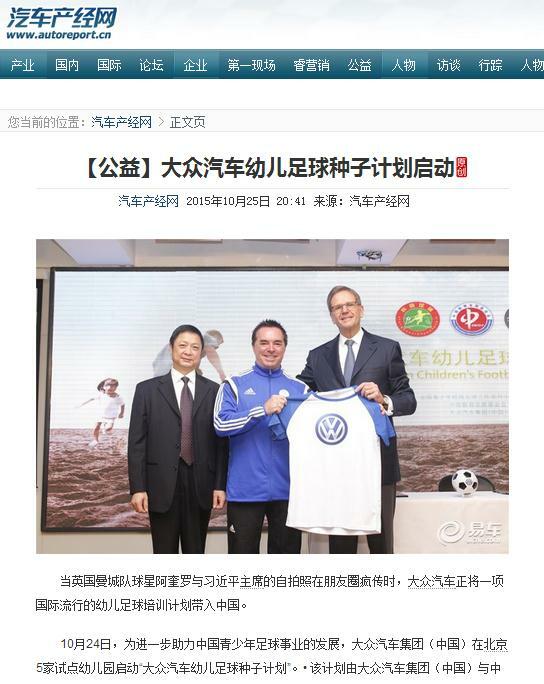 It is great that Volkswagen helps more young people experience the charm of football. Today’s event is just the beginning, and I think Volkswagen really should expand this very meaningful program to more cities or communities. The event was well prepared. 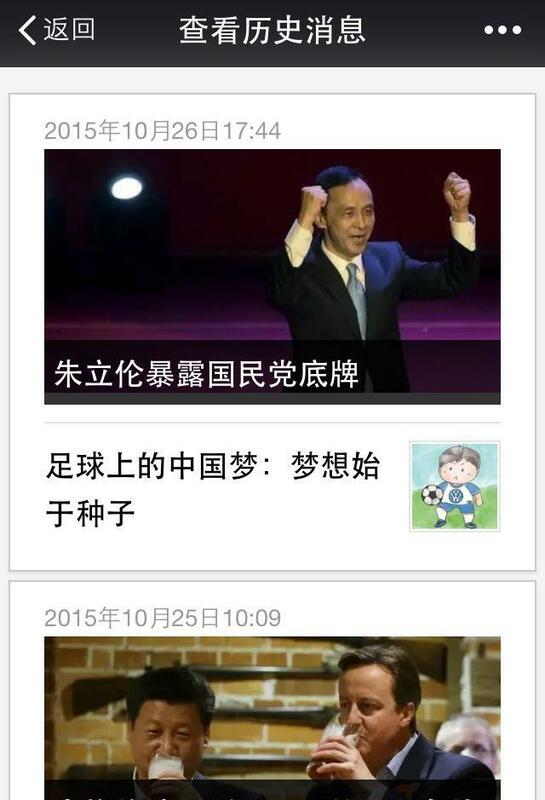 It is great to participate in such a parent-child activity frequently. It is so nice to join my kid in this program at the kindergarten where I studied, and play football with him on the playground where I played. 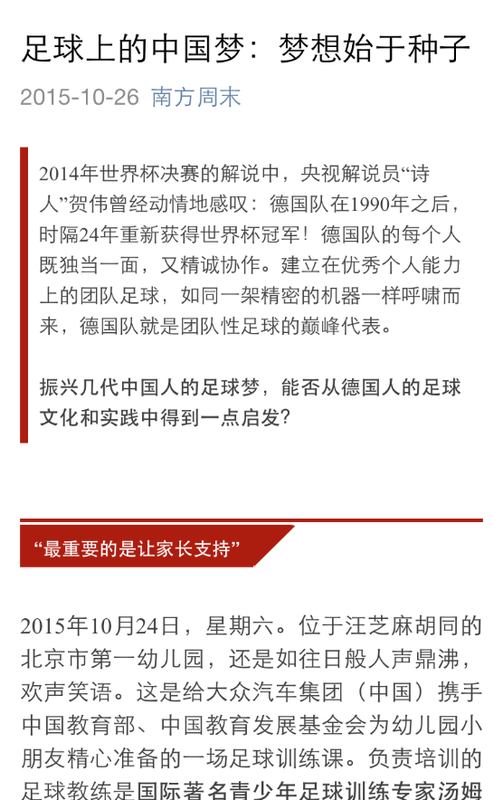 It was a very good, meaningful program. 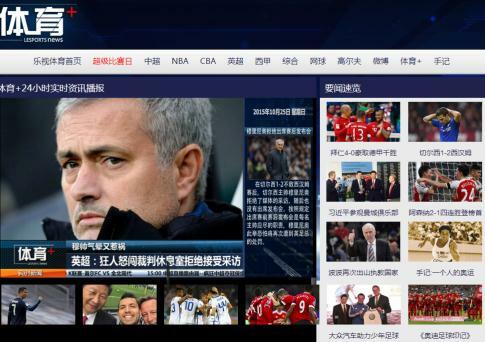 Years ago Mr. Deng Xiaoping, the China President by then, used to say that success of Chinese football should be started with children. 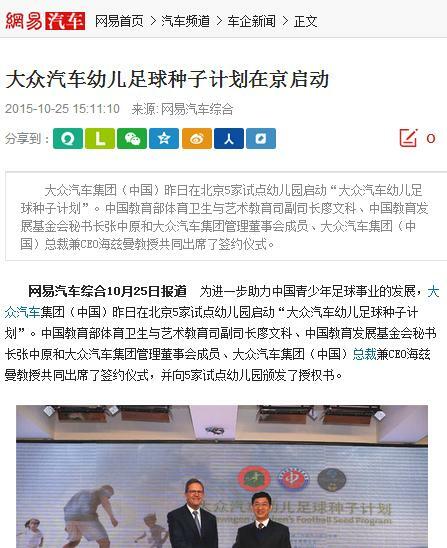 Also, President Xi Jinping has proposed a similar idea as well. 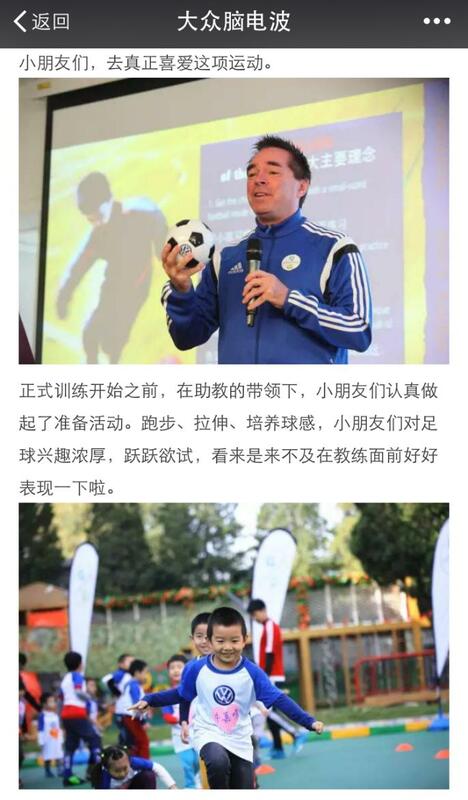 I hope this program could help children enjoy football itself as well as help them build a healthy body and mind. 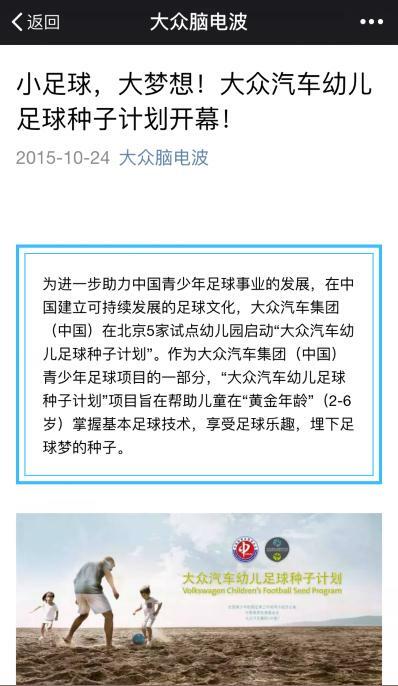 It is great to participate in such a meaningful parent-child activity. My daughter and I spent a pleasant time in the kindergarten. I hope this wonderful program could not only help children improve their health and fitness, but also help them learn team spirit. 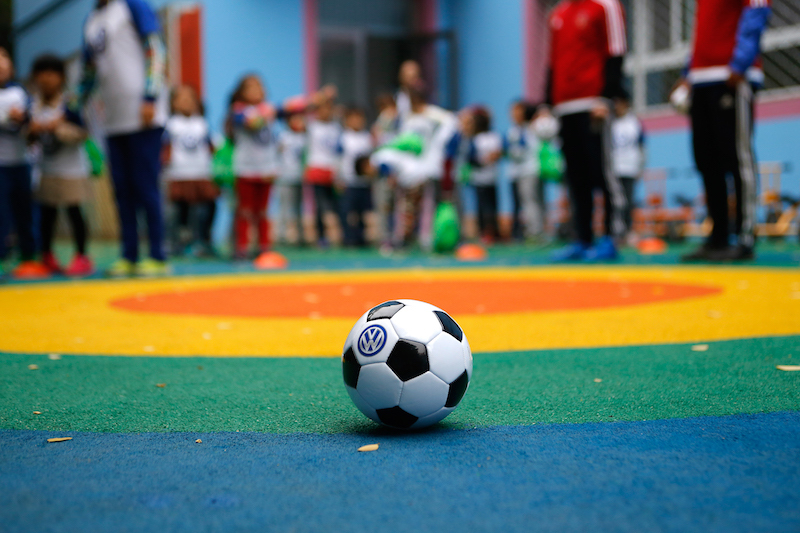 As part of an overall plan supporting youth football development in China, Volkswagen’s ‘Children’s Football Seed Program’ will start with a pilot phase in five kindergartens in Beijing, targeting at children aged four to six. 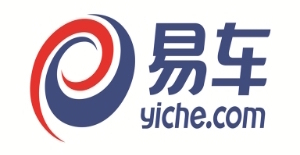 Approximately more than 600 children will benefit from it. 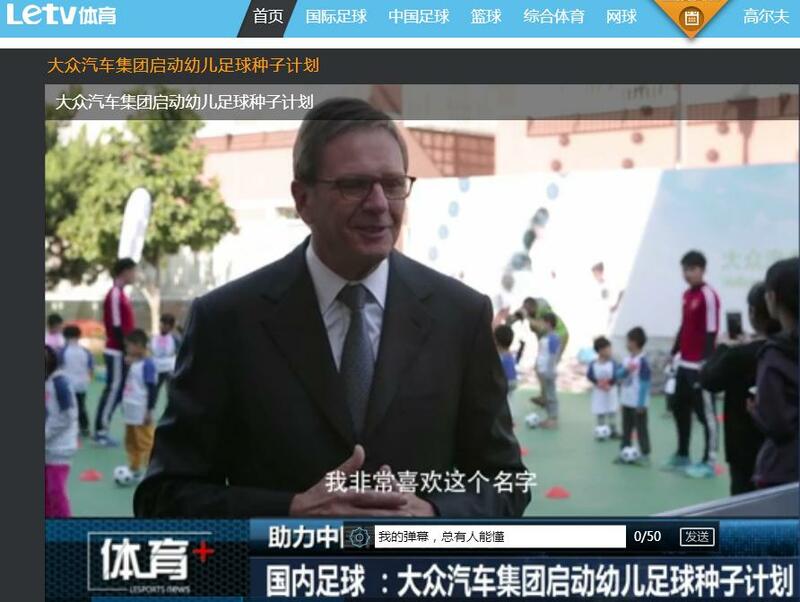 As part of an overall plan supporting youth football development in China, Volkswagen’s ‘Children’s Football Seed Program’ will start with a pilot phase in five kindergartens in Beijing, targeting children aged four to six. Approximately more than 600 children will benefit from it. 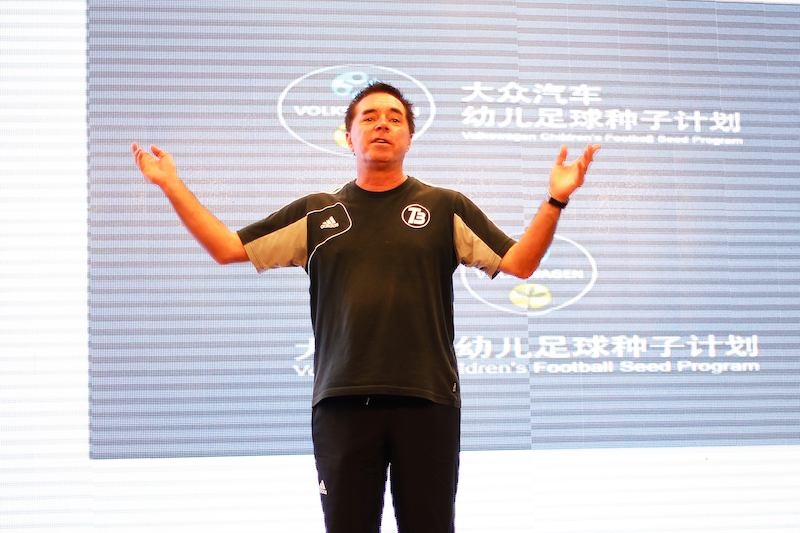 Do you know about the basic techniques and knowledge of early children football education? 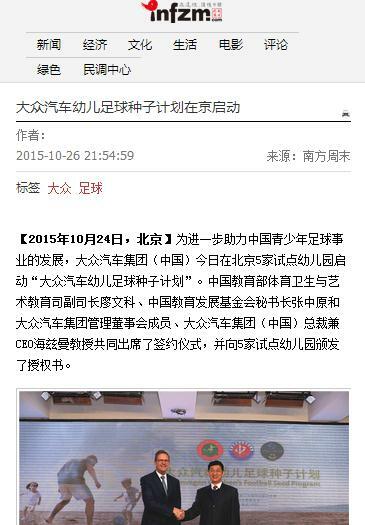 Volkswagen Group China will help you! 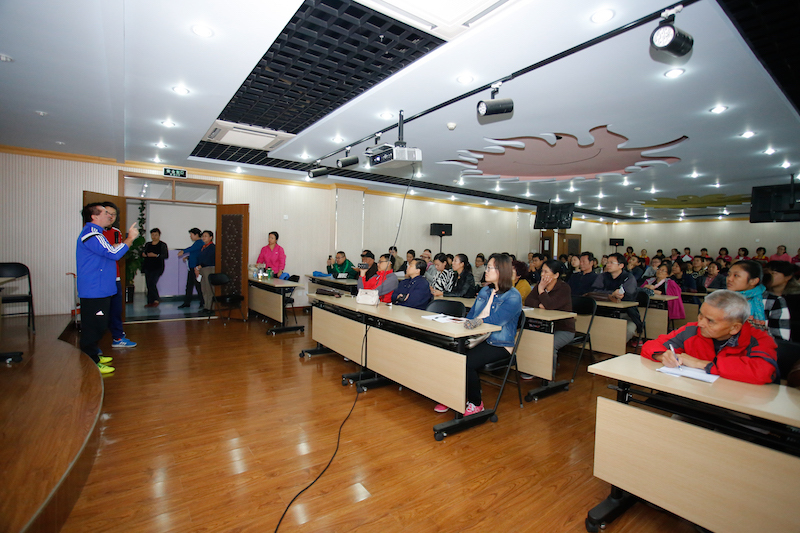 Before the training session starts, a parents’ meeting will be held in each kindergarten, which will help parents understand why football education should begin from childhood, what benefits football can bring to children's’ physical and mental development and what role kindergarten teachers should play in the process.